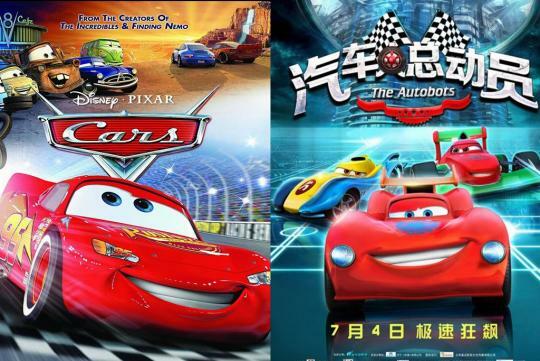 A shanghai court has awarded damages to Disney and Pixar animation after a Chinese film illegally used characters and posters from its 'Cars' animation film. The film, dubbed 'The Autobots', was produced by Bluemtv and distributed by G-Point. They were fined more than S$280,000 after the court ruled that the Chinese film constituted unfair competition. According to Variety, the director of the film, Zhuo Jianrong says he is innocent and has never watched 'Cars'. In fact, he will be launching an appeal and intends on making a sequel. Wait, is Paramount going to sue them next for "Autobots"?